This Product Is Carefully Handcrafted From A Green Champagne Bottle And Frosted With A Metallic Matt Finish And Tastefully Engraved With The Scent On One Side. The Candle Is Made From Organic Wax And Scented To Perfection Using Jasmine Essences Of The Highest Quality To Give A Perfect Aroma In Every Setting. 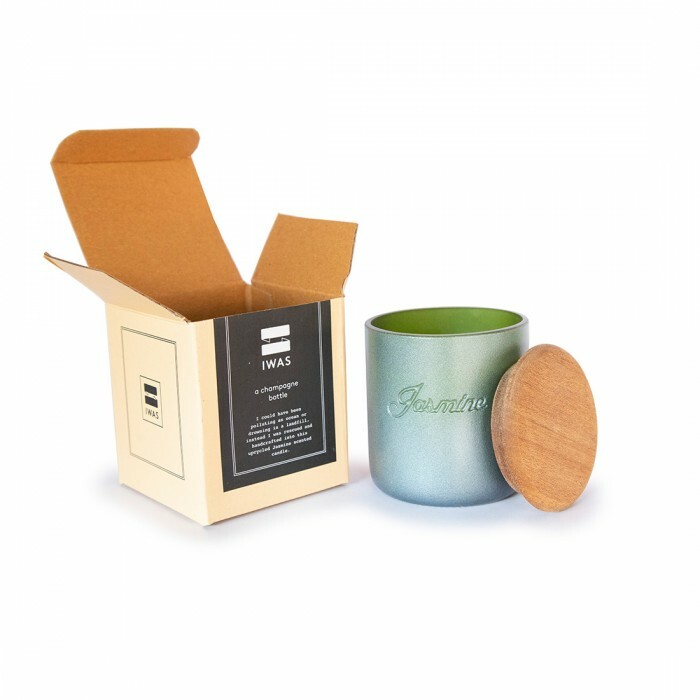 The Candle Is Fitted With 2 Organic Cotton Wicks And Has A Burn Time Of Approximately 30 Hours. The Candle Holder Is A 100% Upcycled Champagne Bottle Which Has Been Carefully Designed & Engraved Before Filling With The Highest Quality Organic Candle To Complement The Look With The Smell And Light To Create The Perfect Mood. 100% Upcycled Organic Jasmine Scented Candle.